“Leave them wanting more.” Like, is it really that difficult? Newb bands are often such eager beavers to make a name for themselves that they end up doing the opposite, turning in rolling, directionless songs indicative of their short time as a group. 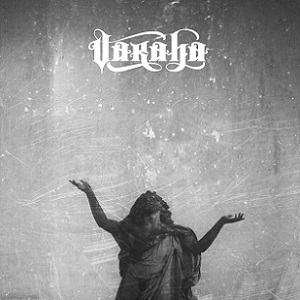 If they’d opt for just a round of their few best compositions, then perhaps more would be in the same spot as Windy City atmospheric metal collective Varaha, whose three-song self-titled EP is, for lack of a better term, a delight. Utilizing those capacious melodic chords the likes of Junius, Rosetta, and for a dark horse reference, Devin Townsend, are so want to do, Varaha’s sound is both lush and dark. This hard-to-find crossbreed works like a charm on “Cubicle,” where the airy, but muscular clean vocal approach of Fabio Brienza is of immediate value. While Brienza could probably do away with his standard-issue screams and growls, his sung vocals not only on “Cubicle,” but “It Takes a Ghost to Kill a Ghost” should warrant the man instant attention as a legitimate singer. The short instrumental interlude “La Mela” is sandwiched between the two above-mentioned cuts, featuring a saxophone happening from Yakuza leader Bruce Lamont. But again, the real burden of proof for Varaha is how they’ve presented two rather excellent, heightened atmospheric jaunts, surely setting themselves up for an EP or full-length that no dark metal fan with a proper frame of mind would pass up.